It is composed of electric stirring device, automatic controller for speed and time, and graduated cup holder. The instrument is designed and made as per the National Standard GB/T14684-2001 “Specification for Sand Used in Construction”. 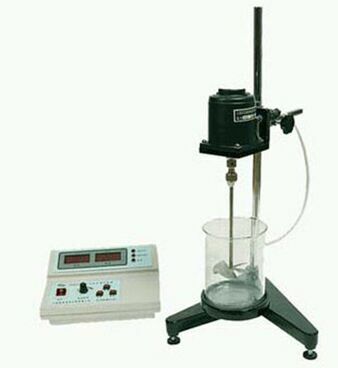 It is used to determine limestone powder in the mineral laboratory of construction and traffic departments. It is composed of electric stirring device, automatic controller for speed and time, and graduated cup holder. The instrument adopts microprocessor techniques to make determination as the selected methods and digitally show time and rotation speed. 6. Automatic control function: you can select methylene blue MB value methods or methylene blue Rapid methods.